The First Nations – Municipal Community Economic Development Initiative (CEDI) aims to improve the economic prosperity of participating First Nations and adjacent municipalities through joint community economic development planning and initiatives. CEDI is a joint initiative of Cando and Federation of Canadian Municipalities (FCM). Through the CEDI program, Cando and FCM work with partner communities, consisting of First Nations and adjacent municipalities and often, other regional partners. As well, CEDI works to share lessons learned and stories of success as part of a community of practice with those who are interested in joint First Nation – municipal community economic development. Why joint Community Economic Development (CED)? Although most First Nations and municipalities across Canada engage in community economic development planning and initiatives, they most often do so in parallel since they work in different jurisdictions. 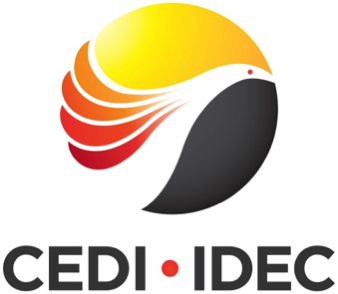 CEDI partnerships have identified many benefits to working together on joint CED, namely: improve regional economic development prospects, including employment opportunities, external investment and long-term sustainability; all while enhancing relationships with their neighbours and community members. From 2013-2016, CEDI worked with six partnerships of First Nations and municipalities across Canada to enhance their community-to-community relationships and collaboration on joint CED initiatives. Some embarked on economic diversification and tourism plans. Others sought to attract new investors to their region. Most found that in the end, their partnership had the power to implement the joint visions that articulated in the beginning of the process. More than anything, CEDI partners came to value that they are stronger together. In 2016, FCM and Cando were pleased to launch Phase 2 of the CEDI program, for First Nations and nearby municipal partners. Between 2016 and 2021, as many as 30 new communities will create joint economic development and land-use planning partnerships based on their shared desire for a better future. These new CEDI partners will benefit from the valuable lessons learned and shared successes of joint CEDI plans and strategies from Phase 1 CEDI partnerships, and from CEDI resources intended to support capacity building, including the Stronger Together Toolkit. • Become a Peer Mentor – we are always looking for experts in CED (for example, community planning, tourism, clean energy, or employment) to volunteer to work with participating communities to help them achieve their joint CED goals. • Join our CEDI Community of Practice LinkedIn Group ‘First Nations – Municipal Network’ – become a part of our community of economic development professionals and other First Nation / municipal elected officials and staff, provincial and federal government staff, academics, private sector and other stakeholders with an interest in joint CED. An Indigenous – Local Government Partnership Forum took place February 21-22, in Winnipeg. This was a joint initiative planned and delivered by Cando, the Centre for Indigenous Environmental Resources (CIER), the Federation of Canadian Municipalities (FCM) and Indigenous and Northern Affairs Canada (INAC). Participants included representatives from First Nations, Métis Nations/Settlements, their neighbouring local governments, representatives from the Government of Canada and provincial governments, as well as representatives from other Indigenous and non-Indigenous organizations across Canada. 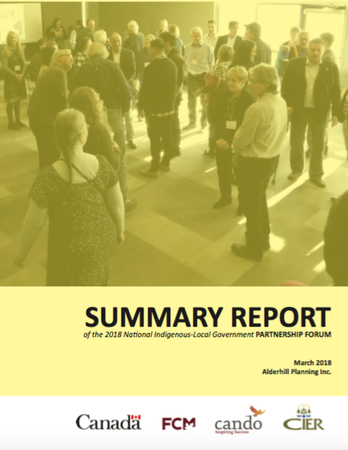 The Partnership Forum provided Indigenous and local governments the opportunity to share experiences with, and perspectives on the future direction of Indigenous-local government collaboration and programming offered in this area. Further, the Forum created a platform for communities to network and to share tools, resources and knowledge. CEDI is funded by Indigenous & Northern Affairs Canada (INAC). Muster your courage; take that lead of faith. The other orders of government aren’t actually the enemy – they can become your best allies. When you look at the downloading of services by the federal government to the provinces and from the provinces down to municipalities, we’ve got a lot more in common. If we can pool our resources and our knowledge, we can come up with some unique solutions that we wouldn’t have been able to come up with on our own. And that alone is well worth it. – Chief Roland Twinn, Sawridge First Nation, AB.